Why did you decide to hike? I had already completed the Pacific Crest Trail in 2011 and the Continental Divide Trail in 2013, so the Appalachian Trail would complete my Triple Crown. I felt like that was the next natural step for me to close this chapter in my life before I venture out onto other trails. What was the most challenging part of the journey? As a more solo and introverted hiker, it was finding that balance of the social trail while also maintaining my blog, also gave me a lot of interaction with the outside world. 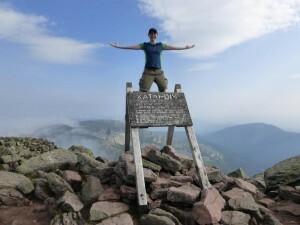 I knew that I wanted to challenge myself and learn from the social experience the AT is so known for, so I tried to be more open to that aspect of the hike. That was challenging for me to come out of my comfort zone and put my trust in others. What was the most memorable part of the journey? Funny enough, the most memorable moments were those few exceptional bonds and interactions I did manage to have with other hikers when I voluntarily overlapped with them for a more extended period of time, which was one to three weeks. How did you feel after the hike was over? I was surprised by my immediate feelings of sadness in missing those I hiked with more than the trail itself. That’s a first for me, as I usually miss the trail. However, I am fortunate that my life has fallen into a place that I’m able to do a long-distance hike each year if I want to. Knowing that makes the return home much easier and it’s more of a break than an end to the adventure. What did you gain from the experience? In a way, this trail has been the most formative for me out of the three that I’ve hiked. I’ve reached a new level of appreciation for the company of others and bond among hikers. I realized that sometimes sharing the experience with others can make it greater than you ever thought it could be. It will definitely influence my future choices and I hope to be more open to sharing the experience with others in the future. People who know me know that this is a big step in growth for me. Right now I’m still hooked on the journey of long-distance hiking and I envision doing a long hike or two each year. I am currently working to saving up over the winter and I plan to get back out this spring and summer on the challenging Hayduke and Great Divide trails. Visit Walking with Wired to learn more about Erin. Ariel previously served as the associate managing editor and writer for an outdoor sports publication before making a switch to marketing. 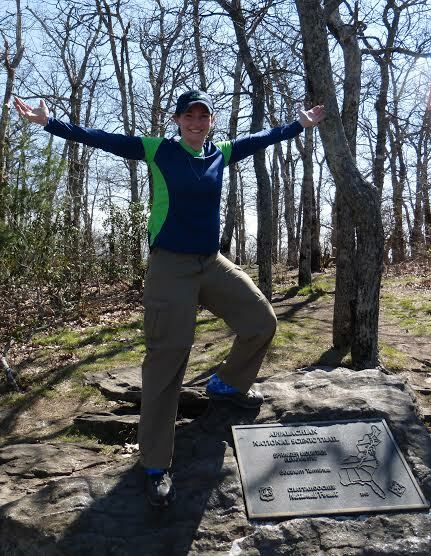 She still enjoys writing about the outdoors, as well as playing in it. 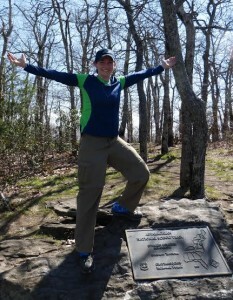 And no, she hasn't yet hiked the AT, but it's on her bucket list. You can find more of her work at arielblack.wordpress.com and on Twitter, @ArielCBlack.